What can we say about this dymanic duo, other than they totally rock! 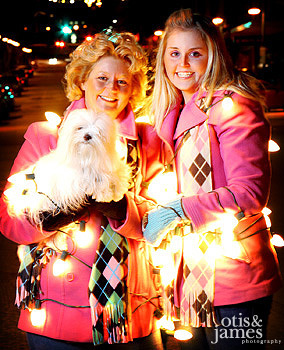 Who else could you wrap in lights and make stand in the middle of the street?? At least oncoming traffic had no problem seeing them – Enjoy! Previous Previous post: More Old Friends! Next Next post: You Bet Your Sweet Brass!